FedEx extends our heartfelt sympathies and prayers to the victims of the terrible tragedy in Nepal. As we assess the scope of the damage in the region, FedEx is determining the best ways for us to help meet the needs of survivors, in terms of humanitarian assistance, in-kind contributions, and transportation resources to ship critical medical aid and supplies. 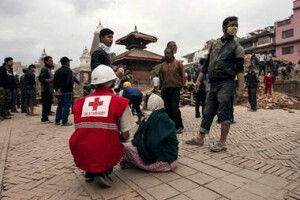 We are supporting Nepal relief efforts through our disaster relief partners such as Direct Relief, Water Missions International, Heart to Heart International and the American Red Cross, which works closely with the Nepal Red Cross and the International Federation of Red Cross and Red Crescent Societies. To help ensure aid is delivered efficiently, we are focusing our relief efforts with these existing partners. To contribute to relief efforts, please donate funds directly to these agencies or the humanitarian organization of your choice. Files General Terms of Condition | Users (Consumers)– C.O.C.